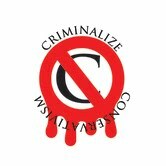 Yesterday, we posted a review by Robert Sobel at Examiner.com, "Who Was Worse, Reagan Or Bush?," (http://www.criminalizeconservatism.com/2012/11/who-was-worse-reagan-or-bush.html) noting five reasons why Ronald Reagan was worse than George W. Bush. Today, we note Mr. Sobel's piece, "8 Reasons Why Ronald Reagan Was The Worst President of Our Lifetime," as well as providing a few links to dispel the "Ronnie Myth." "If you only listened to conservatives you would think that Jesus Christ was the only person above Reagan on the totem pole of conservative love. They talk about his love of low taxes, less government and conservative family values. The problem is that when you step out of the conservative dream and come back to reality, you find that not only was Ronald Reagan a bad president, but he was one of the worst presidents we've seen in modern times. Reagan's policies have destroyed the United States for three decades, and for the eight years he was in office, here are eight reasons why Ronald Reagan was the worst president of our lifetime. "Reagan raised taxes seven of the eight years he was in office and the tax increases were felt hardest by the lower and middle class. "In 1986, a group of Americans were being held hostage by a terrorist group with ties to Iran. In an attempt to free the hostages, Ronald Reagan secretly sold arms and money to Iran. Much of the money that was received from the trade went to fund the Nicaragua Contra rebels who were in a war with the Sandinista government of Nicaragua. "The attacks on 9/11 by al-Qaeda and Osama Bin Laden brought new attention to international terrorism. All of a sudden, Americans coast to coast wore their American flag pins, ate their freedom fries and couldn't wait to go to war with anyone who looked like a Muslim. What Americans didn't realize was that the same group that attacked the United States on 9/11 was funded by Ronald Reagan in the 1980s. "When Ronald Reagan came into office 1981, unemployment was at 7.5%. After Reagan cut taxes for the wealthy, he began raising taxes on the middle and lower class. Corporations started to ship more jobs out of the United States while hiring cheap foreign labor in order to make a bigger profit. While corporations made billions, Americans across the country lost their jobs. As 1982 came to a close, unemployment was nearly 11%. Unemployment began to drop as the years went on, but the jobs that were created were low paying and barely helped people make ends meet. 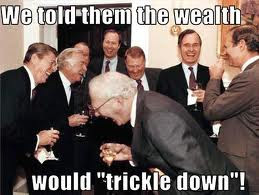 The middle and lower class had their wages nearly frozen as the top earners saw dramatic increases in salary." "The fear of the unknown was sweeping across the country and Americans needed a leader to speak out about this horrible virus, that leader never came. Instead of grabbing the bull by the horns and taking charge, Reagan kept quiet. Reagan couldn't say the words AIDS or HIV until seven years into his presidency, a leader not so much. "...in 1982 Ronald Reagan gave nearly 3 million undocumented workers amnesty. The biggest reason for undocumented workers coming to the United States is because corporations hire them at a cheaper rate than they would an American citizen. All the laws that would have cracked down on companies who hire undocumented workers were, of course, removed from the bill. "Reagan regularly strayed from conservative dogma — he raised taxes eleven times as president while tripling the deficit — and he often ended up on the wrong side of history, like when he vetoed an Anti-Apartheid bill. 1. 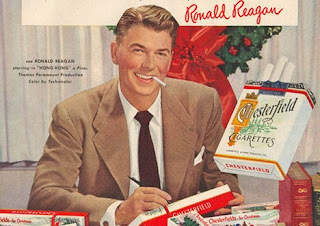 Reagan was a serial tax raiser. "As governor of California, Reagan “signed into law the largest tax increase in the history of any state up till then.” Meanwhile,state spending nearly doubled. As president, Reagan “raised taxes in seven of his eight years in office,” including four times in just two years. As former GOP Senator Alan Simpson, who called Reagan “a dear friend,” told NPR, “Ronald Reagan raised taxes 11 times in his administration — I was there.” “Reagan wasnever afraid to raise taxes,” said historian Douglas Brinkley, who edited Reagan’s memoir. 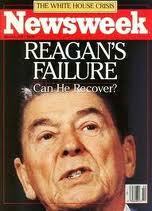 Reagan the anti-tax zealot is “false mythology,” Brinkley said. 2. Reagan nearly tripled the federal budget deficit. "During the Reagan years, the debt increased to nearly $3 trillion, “roughly three times as much as the first 80 years of the century had done altogether.” Reagan enacted a major tax cut his first year in office and government revenue dropped off precipitously. Despite the conservative myth that tax cuts somehow increase revenue, the government went deeper into debt and Reagan had to raise taxes just a year after he enacted his tax cut. Despite ten more tax hikes on everything from gasoline to corporate income, Reagan was never able to get the deficit under control. 3. Unemployment soared after Reagan’s 1981 tax cuts. "Unemployment jumped to 10.8 percent after Reagan enacted his much-touted tax cut, and it took years for the rate to get back down to its previous level. Meanwhile, income inequality exploded. Despite the myth that Reagan presided over an era of unmatched economic boom for all Americans, Reagan disproportionately taxedthe poor and middle class, but the economic growth of the 1980′s did little help them. “Since 1980, median household income has risen only 30 percent, adjusted for inflation, while average incomes at the top have tripled or quadrupled,” the New York Times’ David Leonhardt noted. 4. Reagan grew the size of the federal government tremendously. Voters miscalculate often, but those that voted for this monster need to wake up and smell the burnt ashes of Conservatism, and never, never vote for a Conservative criminal again.